As a fundraising mechanism, offers shown here are paid postings through the Polk Education Foundation. If you are interested in posting an offer that notes a discount or incentive to Polk County Public School teachers and or employees, please review the following documents. If you have any questions email susana.copeland@polk-fl.net, or call Susan Copeland, 863-534-0434. THE OFFERS CONTAINED IN THIS SECTION ARE NOT SPONSORED OR ENDORSED BY THE POLK EDUCATION FOUNDATION OR THE SCHOOL BOARD OF POLK COUNTY. EMPLOYEES WISHING TO TAKE ADVANTAGE OF THESE OFFERS MUST DEAL DIRECTLY WITH THE BUSINESS OR VENDOR MAKING THE OFFER. NEITHER THE POLK EDUCATION FOUNDATION NOR THE SCHOOL BOARD OF POLK COUNTY IS RESPONSIBLE FOR THE CONTENT OF ANY OF THE LINKS. Sam’s Club has two Memberships for PCSB employees to choose from, a Sam’s Club Plus Membership for $100, or, a Sam’s Club Membership for $45. Any current member that signs up will receive over $45 in savings and current Plus Members will enjoy $100 in savings! New Members receive a $10 Sam’s Club Gift Card. Click here for the membership application and here for the Member Benefit Guide. Club members receive $45 in Instant Savings. If you are interested in this offer, fill out the membership application and return along with payment (checks made payable to Sam’s Club) through the courier to the Polk Education Foundation, PCSB Courier Route E. Sam’s will issue temporary membership cards. Those along with gift card and instant savings package will be mailed to the address listed on your application. The deadline for this offer is May 16th. Sam’s will process applications on a bi-weekly basis. Please feel free to contact Dawn Petote, 863-644-0769, or use dmpetot.s04794.us@samsclub.com to email if you have any questions. Miracle Toyota honors Teachers, Administrators, and all personnel with Employee Pricing PLUS! Teachers, Administrators, and all personnel are so underappreciated nowadays, but not at Miracle Toyota! 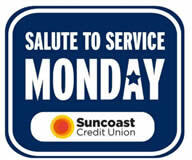 We want to honor all of you and respect your time by extending to you and your immediate family Employee Pricing PLUS! And if you set an online sales appointment, you will qualify for the Miracle Experience! which includes Express Pricing. With Express Pricing you will get everything you need to make a buying decision in 59 minutes or less! Shop 24 / 7 / 365 online at MiracleToyota.com, or visit us on Facebook or Instagram. Any questions? Please call 863-656-3947 or email wecare@miracletoyota.com. PERKS Program Gives PCSB Employees Discounts at Many Local Businesses! There is even a smartphone application, PerksConnect Plus! Employees can find hundreds of discounts literally on the go. The app is free to download and all you need is to use the username and password you set up for your Perks program to log into the app. Any new employee who has not registered can do so via the app. Registration is not limited to just going through the Perks website. So for those more tech-savvy, you are welcome to use the app to register. Discounted event tickets – Ticket Monster specializes in entertainment, offering exclusive savings of up to 50% on tickets to sports, concerts, movies, theme parks, ski resorts, zoos, aquariums, tours and much more! Travel – Find discounts on more than 400,000 hotels and resorts worldwide. All top hotel brands like Marriot, Hilton, Omni, Sheraton, Wyndham and many more. Plus, big discounts on top car rental brands like Avis, Hertz, Alamo, Budget. No travel restrictions or blackout dates. Discounted Gift Cards – Save up to 13% on select, already discounted gift cards. The more you buy, the more you save! Cashback Program– Get Cash Back For Your Online Shopping. Up to 30% cash back for making purchases that are already part of your shopping budget! If you have a local company you would like Perks Connect to contact as a possible partner in this program, please print, complete and return this form per the directions noted. The RP Funding Center Show Discounts! Blue Man Group is a comedy, theater, rock concert and dance party all rolled into one. This wildly popular phenomenon delivers an unforgettable multi-sensory experience. It’s an outrageous evening of entertainment you’ll never forget. Don’t miss the show that has captivated 35 million people worldwide. Blue Man Group – enemy of monotony, remedy for boredom, promoter of overjoy and elation. DARE TO LIVE IN FULL COLOR! Click here to see the Exclusive Partners in Education offers good thru July 31, 2019! BUY ONE GET ONE FREE LEGOLAND FLORIDA TICKETS! Purchase a full price adult ticket and receive a general admission ticket, redeemable for a child, adult, or senior, for FREE! This offer applies to the 1- and 2-Day LEGOLAND Florida tickets as well as the 1- and 2-Day LEGOLAND Water Park Combo tickets. You will find these specially discounted tickets under the “Special Offers” tab. Need an odd number of tickets? No problem! You will also receive 25% off individual tickets under the “Daily Tickets” tab. Want to maximize your time at LEGOLAND Florida Resort? Don’t forget to pre-purchase parking, strollers, wheelchairs or even Premium Play Bands for your visit! Please visit the “Transportation” and “Park Extras” tabs for more information. Purchase tickets here. with your FREE Florida Teacher Pass! Polk County Public Schools is now signed up for fun! Just log into your own Affiliates Merlin Entertainments site to buy combo tickets to Madame Tussauds Orlando and SEA LIFE Orlando Aquarium at the greatly reduced price of 50% off. This online benefit program allows you to “print and go” so you have your ticket in hand when you get to our attractions with no waiting in line to purchase tickets. To access your exclusive tickets, click the link below, then log into the site with the username and password provided. STRUT WITH THE STARS! Come one, come all to the marvelous Madame Tussauds Orlando featuring the Justice League heroes! Dazzle your friends with the ultimate selfie. Are you ready to strike a pose with Taylor Swift, swing punches with Ali, and save the world with Superman, Batman, and Wonder Woman? DIVE DEEP! The SEA LIFE Orlando Aquarium offers you the chance to come face-to-fin with sharks, stingrays, sea turtles and more! Prepare for a world of glittering scales, humongous tentacles, and razor-sharp teeth. Plunge deep into the ocean, explore our 360-degree ocean tunnel, and touch-friendly starfish and anemones. FREE Parking available in the ICON Orlando 360 parking garage! For the past several years, Regal Automotive has awarded Polk County’s Teacher of the Year with a brand new car to show appreciation for their excellence in education. Through our partnerships with the school district, we’ve created a benefits package for all! The ‘Regal Rewards Educators’ program offers invoice pricing, lowest cost on used vehicles, discounts on auto services, free 24/7 local towing, and much more! Visit Regal Lakeland’s website for more information. Tickets for Teachers is a program where licensed K-12 teachers are able to receive complimentary Tampa Bay Rays tickets for select games and special ticket discounts for others. Teachers are encouraged to visit raysbaseball.com/specials to sign up! Click here to see what park, hotel and misc. discounts are offered through the DOE. Embark on a colorful adventure where color, chemistry, and digital technology combine to create a one-of-a-kind family attraction. Imagination is your greatest tool at Crayola Experience, where 25 hands-on attractions create a day of colorful fun for the entire family. With 2 levels and 70,000 square feet of colorful fun, guests will play, create, learn and share in experiences inspired by Mom’s #1 loved brand, Crayola! See a live demonstration on how crayons are made at the Crayon Factory Show! 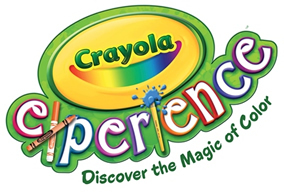 Crayola Experience is scheduled to open in July and is located at the Florida Mall 8001 S. Orange Blossom Trail, Orlando, FL. The average length of stay: 4-5 hours. General admission includes access to the facility for the entire day. Do you want to earn free teacher supplies? Check out www.prangpower.com and register for the Free Prang Power program! The more supplies you, your students and your school purchase, the more free goodies you get in return! Sign up and use promo code: DixonPolk25 to get 25 BONUS POINTS!!! Click here for FREE admission to the Florida Air Museum – offer good for all Polk County School Board employees (coupon required for admission). Want great customer service and beautiful flower arrangements? Critical thinking, complex text, and student engagement are hot topics for classroom success. This professional development program, based on the Library of Congress model, will provide tools for practical classroom application. Room and board will be provided if needed. Materials and resources to implement classroom application, valued at $75, will be provided upon successful completion of the initial training. Participants will also receive a PD Certificate for 30 hours after the conclusion of the fall reflection. The PD program is appropriate for educators and pre-service teachers grades K-12 in many disciplines. Sessions will demonstrate applications of primary sources in multiple academic areas. College credit will be available for purchase. Please contact laurie.boulden@warner.edu or prodevelopment@warner.edu for more information and applications. This program is sponsored in part by the Library of Congress Teaching with Primary Sources Eastern Regional Program, coordinated by Waynesburg University. This week long PD opportunity will engage participants in critical thinking and analysis of Seminole Indians in Florida. Participants will visit three locations to gain insight into culture, custom, and myth. They will use the resources gathered to develop a lesson plan. Room and board will be provided if needed. Materials and resources to implement classroom application, valued at $75, will be provided upon successful completion of the initial training. Participants will also receive a PD Certificate for 45 hours after the conclusion of the fall reflection. While the focus of this PD is on Seminole Indians, application of the process of gathering, organizing, and designing classroom experiences is applicable to any discipline. The PD program is appropriate for educators and pre-service teachers grades K-12. College credit will be available for purchase. Please contact laurie.boulden@warner.edu or prodevelopment@warner.edu for more information and applications. Love Calculations & Flexible Hours? Need a part-time job to make some extra money? Professional tax prep may be for you! Each year, H&R Block trains and hires thousands of tax professionals to prepare taxes in more than 10,000 offices nationwide. Successful completion of our Tax Course may make you eligible to make an extra income after your workday, as a tax professional. Enroll in our tax course to get started. $50 discount for all Polk County School Employees. (Coupon code 88957) https://www.hrblock.com/corporate/income-tax-course/#contact-us Last day to register is Oct 10, 2019. 10% Tuition Discount for Polk County Public School Employees. National Louis University’s M.Ed./Ed.S. in Educational Leadership degree programs give you the credentials needed to advance into a leadership role and make a powerful contribution to student learning and teacher development. NLU offers convenient, highly-advanced M.Ed. and Ed.S. programs to fill the demand for effective and authentic leaders in Florida schools. Our programs prepare Polk County Public School employees to becomes leaders that transform and improve their school’s environment. Tuition Discount—Polk County Public Schools employees receive a 10% tuition discount! Also, contact us today to learn about our Ed.D. in Educational Leadership. Our program prepares you for leadership roles in school districts, policy, and political organizations, government and more. Cohorts are forming near you for both Fall and Winter. Tuition discounts and scholarships are available. Florida Southern College Course Voucher Program awards vouchers to all Polk County Public School teachers who supervise a Florida Southern College final intern or FSC Master of Educational Leadership student. Course vouchers cover the tuition of any Education (EDU) course offered at Florida Southern including those in the undergraduate, graduate, and doctoral programs. Additionally, each Polk County Public School Teacher of the Year and School Related-Employee award winners along with the school’s principal and assistant principal receive a course voucher covering tuition for any course in the School of Education. Florida Southern is honored to partner with the Polk Education Foundation and Polk County Public Schools to continue providing excellence in education. Start earning your degree at FSC today and change your life tomorrow! Join us at the next Information Session! Click here to see a condensed schedule of some of our more popular courses. You can find a complete course schedule here. For more information or to receive your10% Tuition Discount, please email Renee.Lewis@phoenix.edu or call/text (312)659-8475. Want a great rewards credit card? MIDFLORIDA’s Visa® Signature credit card offers plenty of perks and bonuses for using your card. Earn 1.5% cash back on all purchases. Plus, get a $100 BONUS after you spend $2,000 in the first 90 days. Click here for more information and to apply today! FREE admission to MOSI for Teachers! In appreciation for all of your hard work in the classroom, we would like to offer you FREE admission to MOSI. Simply show a school ID or pay stub with a photo ID, and receive free admission with unlimited visits throughout the year. Visit the Educators’ Circle website at https://www.mosi.org/educators/mosi-educators-circle-2/ and contact membership@mosi.org with any questions. 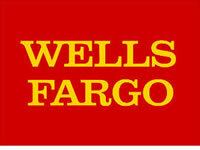 PCSB employees are eligible for the Wells Fargo At Work program—a valuable package of accounts, services and special benefits that can help you reach your financial goals. Woodmen of the World is one of the largest presenters of the American flag, outside of the US government. Our ability to provide flags* to schools, non-profit organizations, and churches, is just one of the qualities that set us apart. Please let us know if you need a flag for your: School, Classroom, Athletic Field, or Band. 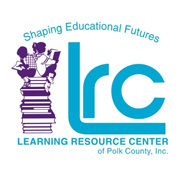 The Learning Resource Center of Polk County, Inc. helps students of all ages maximize their learning potential by providing personalized educational programs, consultative services for parents, and programs to accommodate community needs. Students in need of academic assistance may be interested in LRC offerings such as One-to-One Tutoring, ACT Preparation, SAT Preparation, Study Habits of Successful Students (grades 6-8), Get the Competitive Edge… College Success Planning (grades 9-12), Camp READY! (Kindergarten), Super Summer Success (grades K-5), and middle and high school courses for credit. As a PCSB employee, LRC would like to offer you or a family member a discount for enrollment in any LRC programs. For more information, please visit LRC online at www.lrcpolk.com or call 863-688-9477. Success in school begins at Huntington. Huntington Learning Centers help students of all ages build the skills, confidence, and motivation to attain better grades. Whether your child is struggling in school or simply seeking a more enriching academic experience, our individual, personalized programs will make a difference. Our exam prep instruction for college-bound students is personalized, private tutoring that gives students test-taking strategies and shows them how to apply their knowledge to questions that involve problem-solving, analytical thinking, reasoning, drawing conclusions, interpreting facts and essay writing. Super Lube sites in Auburndale, Bartow, Lake Wales, and Winter Haven are offering an 8% discount on any purchase and another 7% fundraising revenue back to the Polk Education Foundation. Please print this coupon and take it to your nearest Super Lube to redeem this offer.